Euro Africans generally enjoy an outdoor lifestyle and fondness for sport. The braai, although originally Afrikaans, is a popular way for all Euro Africans to gather friends. Another pastime is that of visiting game reserves, hiking, camping and recreational angling. There is a particular appreciation of country life and farms are often bought as weekend retreats. The agricultural industry was modernised and greatly expanded by European settlers, who often worked as farmers, hence it is very close to the heart of the Euro African. Farmers themselves generally prefer holiday houses at the coast. In other ways the culture of Euro Africans is more Euro than African; for Anglo-Africans, afternoon tea - in fact, tea at any time of day - is still widespread, as are pastimes such as gardening and reading. The most avidly followed (and participated in) sports are rugby, cricket and tennis. Many Anglo-Africans will follow South African as well as British news and watch BBC and Sky News rather than CNN, and prefer British humour as expressed by Fawlty Towers and the Blackadder series. There is a widespread appreciation for British things by those of British ancestry and a certain cachet attached to British books, paints, clothes, fabric, magazines, stationary, china and toys; most Anglo-Africans travel to Britain at least once in their lives to discover their ancestral homeland where some may have friends and even long lost relatives. Many Euro Africans speak a unique dialect of English. However, even in South Africa, there are geographical differences in the English that Euro Africans speak; most can clearly tell the difference between the languid accent of Durban, Cape Town's supposedly disdainful drawl, and the near-Received Pronunciation of Johannesburg's northern suburbs and the Natal Midlands. There are influences from Cape Malays, Afrikaners, and the Bantu languages. The common greeting 'Howzit!' comes from 'How is it?' and can be likened to the US 'Howdy', the Australian 'G'Day', the Irish 'Howya?' or the recent British 'All right?'. The considerable Afrikaans influence can be seen from words such as braai, trek, lekker, and ja having become common usage centuries ago. In South Africa many Zulu and Xhosa words (such as shongololo, muti, ubuntu, fundi etc.) are used. Afrikaans is a Germanic language which derives from a Dutch dialect. The Afrikaans language changed over time from the Dutch spoken by the first white settlers at the Cape. From the late 17th century, the form of Dutch spoken at the Cape developed differences, mostly in morphology but also in pronunciation and accent and, to a lesser extent, in syntax and vocabulary, from that of the Netherlands, although the languages are still similar enough to be mutually intelligible. Settlers who arrived speaking German and French soon shifted to using Dutch and later Afrikaans. The process of language change was influenced by the languages spoken by slaves, Khoikhoi and people of mixed descent, as well as by Cape Malay, Zulu, English and Portuguese. While the Dutch of the Netherlands remained the official language, the new dialect, often known as Cape Dutch, African Dutch, "Kitchen Dutch", or "Taal" (meaning language in Afrikaans) developed into a separate language by the 19th century, with much work done by the Genootskap van Regte Afrikaners and other writers such as Cornelis Jacobus Langenhoven. In a 1925 act of Parliament, Afrikaans replaced standard Dutch as one of the two official languages of the Union of South Africa. There was much objection to the attempt to legislate the creation of Afrikaans as a new language. Marthinus Steyn, a prominent jurist and politician, and others were vocal in their opposition. They perceived that legalization of Afrikaans as an official language would only serve to isolate the Afrikaners, as they would be the only people in the world to speak Afrikaans. Steyn, who died before 1925, had been educated in Holland and England and was a worldly cosmopolitan figure. Today, Afrikaans is recognised as one of the eleven official languages of the new South Africa, and is widely accepted as an appropriate means of communication for a large number of South Africans. The Afrikaanse Taal en Kultuurvereniging (ATKV) (Afrikaans Language and Culture Society) is responsible for promoting the Afrikaans language and culture. The world's first ounce-denominated gold coin, the Krugerrand was struck at the South African Mint on the third of July 1967. The name Krugerrand was derived from Kruger (President Paul Kruger) and rand the monetary unit of South Africa. The Rand is associated with the area called Witwatersrand, "the ridge of white water" an important gold producing area. Numerous Euro African cuisines can be traced back to Coloured people. Bobotie, snoek based dishes,koeksisters, bredies, Malay roti are staple diets of Coloureds and other South Africans as well. Most dishes are passed down for many generations. 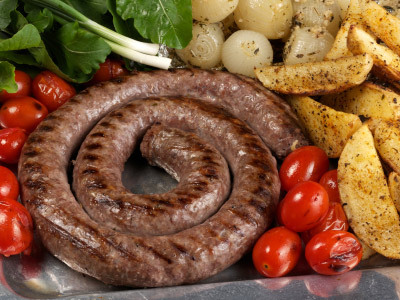 Other Euro African cuisine, though enjoyed by all Euro Africans, is of Boer ancestry, for example, koeksisters, biltong, and boerwors. Let us not forget rooibos (English: redbush) tea. Anglo Africans have a long literary tradition, and have produced a number of notable novelists and poets, including Doris Lessing, Guy Butler, Olive Schreiner, (Ignatius) Roy(ston) Dunnachie Campbell and Denis Vincent Brutus. Most Anglo-Africans, having been brought up on British nursery rhymes, history, and literature, are more conversant with Britain and its ways than is usually natural for people who have never lived there, or even visited. A traditional Anglo-African storybook is Sir Percy Fitzpatrick's Jock of the Bushveld, which describes his journey as a wagondriver with his dog Jock in the Bush. Other significant writers are Nadine Gordimer, Alan Paton, Peter Godwin, Alexandra Fuller, Bryce Courtenay and Cathy Buckle. Afrikaners have a long literary tradition, and have produced a number of notable novelists and poets, including Eugene Marais, Uys Krige, Elisabeth Eybers, Breyten Breytenbach, André Brink, and Etienne Leroux. Mainly Christian, the Calvinism of Boers in South Africa developed in much the same way as the New England colonies in North America. The original South African Boer republics were founded on the principles of the Dutch Reformed Church. A good example of how the Boer culture and religion interlinked can be seen when gold was discovered in Johannesburg. The Boer community desperately tried to keep it a secret for fear that exploitation of the resource would lead to moral degradation of the Republic. Even after the mines were running, the Boers did not get involved and kept to farming. Anglo-Africans have influenced modern African arts, often incorporating other African cultures. (Harold) Athol (Lannigan) Fugard is a significant playwright. He was born of an Irish Catholic father and an Afrikaner mother and has always described himself as an Afrikaner, but he wrote in English to reach a larger audience. Sharlto Copley is a significant actor, producer and director. He starred in the Oscar nominated, South African film District 9 which was an international box office hit. District 9 drew heavily on metaphoric references to South Africa's apartheid history. Although an Anglo-African, Copley plays an Afrikaaner. He starred in the film remake of the 80's TV show The A-Team. Notable Anglo-African musicians include Dave Matthews, who emigrated to the United States, and is therefore more generally identified as American. Johnny Clegg, though his work is heavily influenced by indigenous music . Wrex Tarr performed the distinctly Rhodesian comedy song Cocky Robin based on Chilapalapa. John Edmond was a popular singer, songwriter, entertainer and storyteller during the Rhodesian Bush War. Trevor Rabin, now a naturalised American, formerly a member of Rabbitt and Yes and now a film composer. Manfred Mann, a founding member and namesake of Manfred Mann and Manfred Mann's Earth Band. Seether is a post-grunge band originally founded by Anglo-African members, but now including Americans. Music is probably the most popular art form among Afrikaners. While the traditional Boeremusiek (Boer Music) and Volkspele (literally, People Games) folk dancing enjoyed popularity in the past, most Afrikaners today favour a variety of international genres and light popular Afrikaans music. American country and western music has enjoyed great popularity and has a strong following among many South Africans. Some also enjoy a social dance event called a sokkie. There is also an underground rock music movement and bands like Fokofpolisiekar have a large following. The television Channel MK (channel) also supports local Afrikaans music and mainly screen videos from the Afrikaans Rock genre. Cricket, rugby union, tennis and golf are generally considered to be the most popular sports among Anglo-Africans. 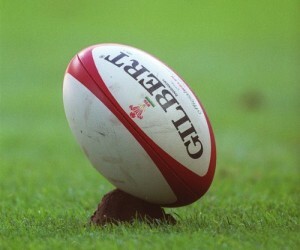 Rugby in particular is considered one of the central pillars of the Afrikaner community. "Boere-sport" also played a very big role in the Afrikaner history. It consisted of a variety of sports like tug of war, three-legged races, jukskei, skilpadloop (tortoise walk) and other games. Families who live in the country are usually familiar with previously practical pastimes such as riding and shooting. Riding is popular in town and country alike and drag-hunting is carried out by the Cape Hunt and the Rand Hunt. Polo is more accessible in South Africa than in the United Kingdom and very popular amongst farmers. Cricket in Africa and particularly Zimbabwe has been dominated by Anglo-Africans. Many of their best players include Andy Flower, Heath Streak, Brendan Taylor and Ray Price. Cricket in South Africa also features numerous Anglo-Africans, such as Graeme Smith and Neil McKenzie, both of whom have played for South Africa. The contribution of Anglo-Africans to South African rugby has continued to the present; other notables include the coach who led the Springboks to victory in the 1995 Rugby World Cup, Kitch Christie, Bobby Skinstad and Percy Montgomery, the Springboks' all-time leader in appearances and points. The Springboks won the 1995 and 2007 Rugby World Cups. Jody Scheckter won the F1 World Championship. Anglo-Africans have also had notable success in African rallying, while former Rhodesia in particular has produced several world champion motorcycle road racers including Jim Redman and Kork Ballington.The English cricket team of 2010, which retained the 2010–11 Ashes series in Australia, received a significant contribution from Anglo-Africans. Captain Andrew Strauss, wicketkeeper Matt Prior, batsman Kevin Pietersen, batsman Jonathan Trott and coach Andy Flower are all Anglo-Africans.